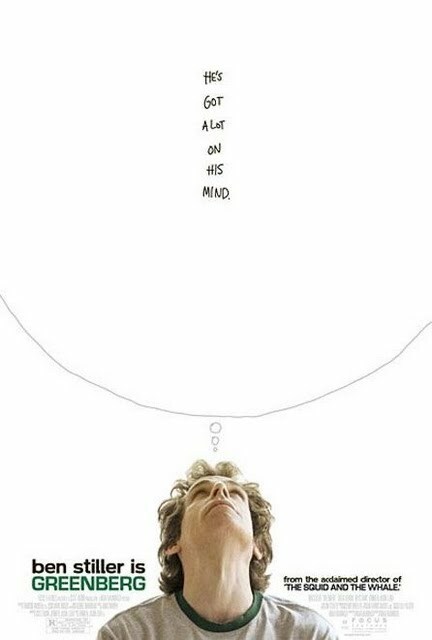 My title comes from the most fetching line of this 2010 film starring Ben Stiller and Greta Gerwig. Stiller plays a neurotically depressed social misfit (the titular Greenberg) who, not surprisingly, doesn’t do too well with people of both sexes. When his former band mate – probably the only person in the film who can truly tolerate him – wistfully muses that “youth is wasted on the young”, Greenberg replies, “I’d take it a step further – life is wasted on people”. Great line, one of this very flawed film’s better moments. I honestly thought I’d enjoy this a lot more than I did, seeing as it came from Noah Baumbach, the director of the excellent weirdo dramas “Margot at the Wedding” and “The Squid and the Whale”. Yet “GREENBERG” neither made me squirm the way those did, nor did it have enough mixed pathos & comedy to make one ride the highs and lows so dramatically as we did in those other films. Stiller wasn’t the problem. I don’t know, maybe it was Greta Gerwig. I thought I was sort of in love with her when I saw her in “BAGHEAD”, but now I’m wondering if she’s so fixated on being “real” in her films that she comes off as totally phony-baloney. I turned off “HANNAH TAKE THE STAIRS”, a film of hers from last year, midway through because I just couldn’t take it – but I blamed the film’s shortcomings squarely on the director. This time, though the budget is much “bigger” than that handheld nearly-home movie, she still grates on me with her I’m-such-a-complicated-arty-twentysomething act, and the thought that she’d be attracted to Greenberg at all, especially after his first bungled attempt to make some magic happen with her, is preposterous. Is this what a “real” urban 23-year-old is supposed to be like these days? Man, I’ll steer way clear of the Mission District, Williamsburg and Silverlake if so. I guess it just didn’t add up at the end of the day. The film’s characters don’t reach any dénouement, as the French say, and no one grows or changes or figures it out. Since they’re all so unlikeable to begin with – well, there it is. Hedonist Jive says go watch some Giants playoff baseball instead.